Rugby World Cup broadcast satellite uplink trucks-SIS LIVE. Milton Keynes, UK May 2015: Leading broadcast connectivity expert SIS LIVE has been announced as the supplier of connectivity services for host broadcaster ITV, throughout the 2015 Rugby World Cup. SIS LIVE will provide ITV with all communications and live feeds for the six week competition of world class rugby, featuring teams from the top 20 rugby nations, starting in September 2015. The contract covers the opening ceremony at Twickenham on 18th September 2015 and 48 matches broadcast live, from 13 stadiums across the UK. SIS LIVE will install new fibre connectivity at all rugby locations, to add to its rapidly expanding fibre network that also includes Premier League football stadia. New rugby venues include Wembley, Twickenham, Millennium and the Olympic Stadium. SIS LIVE will also provide 10 single and 3 dual antenna uplinks, with over 1000 hours of satellite capacity and significant fibre links. SIS LIVE will deliver video, audio and communication feeds to ITV, as well as feeds for global distribution, through its extensive fibre networks and via satellite links. 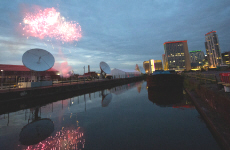 The company will utilise its highly specified uplink trucks (the largest fleet in Europe), and its two large broadcast teleports and dual Network Operation Centres located in Milton Keynes and at MediaCityUK.